Adventure Air Sports is so much more than your average “Trampoline Park” which is why we look to hire more than your average “employee.” We are always seeking motivated, energetic, outgoing individuals who are dedicated to the safety and enjoyment of all our guests. 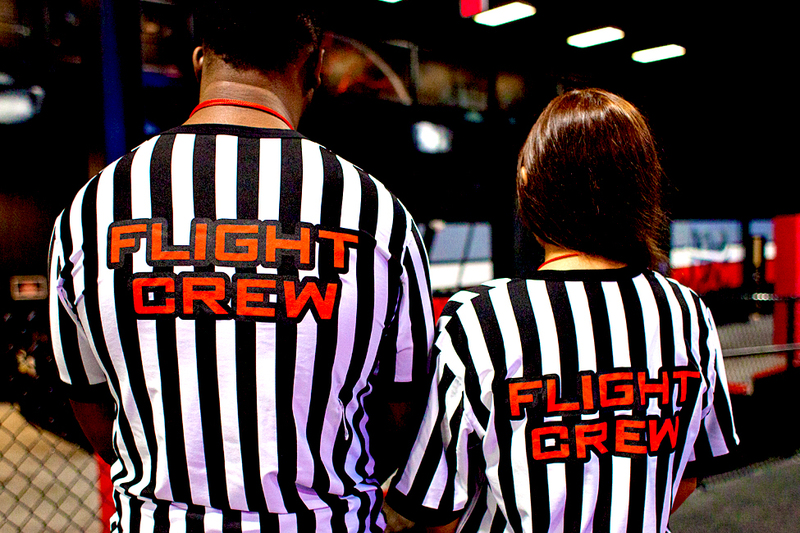 Being a part of our Flight Crew means more than just clocking in and clocking out. We aim to provide our guests with the absolute best experiences and joining our team means actively engaging in positive interactions, encouraging safe participation in our attractions and most of all, facilitating fun! If you consider yourself a passionate, enthusiastic person that approaches task with energy in pride, we want to meet you. Download our online application and return it to the park in person and a member of our recruiting team will be in touch soon.